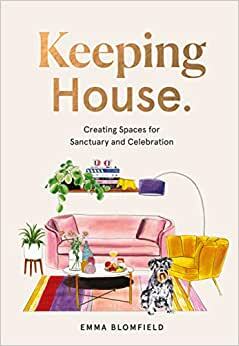 Start reading Keeping House on your Kindle in under a minute. Emma Blomfield is a modern-day innovator. Emma’s work brings together her sophisticated design prowess, fresh vision and sharp business acumen. She uses her repertoire of styling, colour and furnishings to deliver simple decorating concepts that combine function and aesthetics. Emma consults for a wide range of clientele in both event styling and residential interior design in Sydney. Her extensive portfolio is dotted with celebrity clients, and she regularly hosts workshops across Australia. She has been influential in demystifying an industry once considered niche and has brought innovation to interior decorating with the launch of online personal style consultations and education programs. Emma’s first book, Home, was published in 2017.